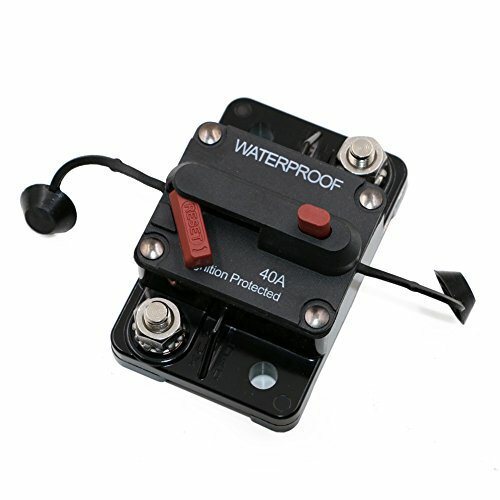 T Tocas 40 Amp Surface-Mount Circuit Breakers with Manual Reset, 12V- 48V DC, Waterproof (40A) by T Tocas at In The National Interest. MPN: BBCB594-40A. Hurry! Limited time offer. Offer valid only while supplies last. Typically used in auxiliary and accessory circuits in truck, bus', RVs and marine applications. Others include battery charger and DC audio system. If you have any questions about this product by T Tocas, contact us by completing and submitting the form below. If you are looking for a specif part number, please include it with your message.